The 7 Series’ front seatbelts will tighten automatically in the event the vehicle detects an impending crash, improving protection against injury significantly. The Quattroporte doesn’t offer pre-crash pretensioners. The 7 Series offers optional City Collision Mitigation, which use forward mounted sensors to warn the driver of a possible collision ahead. If the driver doesn’t react and the system determines a collision is imminent, it automatically applies the brakes at full-force in order to reduce the force of the crash or avoid it altogether. The Quattroporte doesn't offer collision warning or crash mitigation brakes. An active infrared night vision system optional on the 7 Series helps the driver to more easily detect people, animals or other objects in front of the vehicle at night. Using an infrared camera and near-infrared lights to detect heat, the system then projects the image on the windshield, near the driver’s line of sight. The Quattroporte doesn’t offer a night vision system. The 7 Series’ optional lane departure warning system alerts a temporarily inattentive driver when the vehicle begins to leave its lane. The Quattroporte doesn’t offer a lane departure warning system. The 7 Series offers an optional Side and Top View Cameras to allow the driver to see objects all around the vehicle on a screen. The Quattroporte only offers a rear monitor and front and rear parking sensors that beep or flash a light. That doesn’t help with obstacles to the sides. The 7 Series’ driver alert monitor detects an inattentive driver then sounds a warning and suggests a break. According to the NHTSA, drivers who fall asleep cause about 100,000 crashes and 1500 deaths a year. The Quattroporte doesn’t offer a driver alert monitor. The 7 Series has standard BMW Assist, which uses a global positioning satellite (GPS) receiver and a cellular system to remotely unlock your doors if you lock your keys in, help track down your vehicle if it’s stolen or send emergency personnel to the scene if any airbags deploy. The Quattroporte doesn’t offer a GPS response system, only a navigation computer with no live response for emergencies, so if you’re involved in an accident and you’re incapacitated help may not come as quickly. Both the 7 Series and the Quattroporte have standard driver and passenger frontal airbags, front side-impact airbags, side-impact head airbags, front seatbelt pretensioners, traction control and electronic stability systems to prevent skidding. The 7 Series’ corrosion warranty is 8 years and unlimited miles longer than the Quattroporte’s (12/unlimited vs. 4/50,000). BMW pays for scheduled maintenance on the 7 Series for 4 years and 50,000 miles. 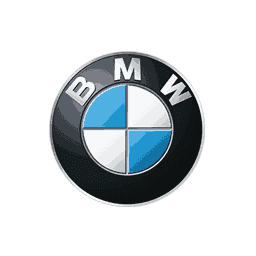 BMW will pay for oil changes, lubrication and any other required maintenance. Maserati doesn’t pay scheduled maintenance for the Quattroporte. 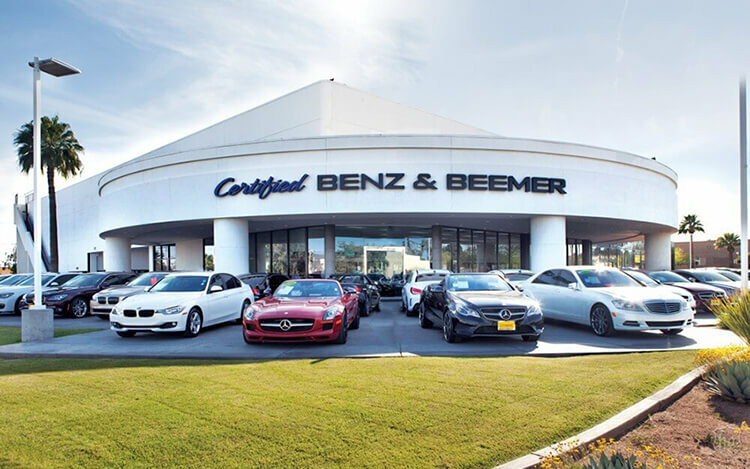 There are over 6 times as many BMW dealers as there are Maserati dealers, which makes it much easier should you ever need service under the 7 Series’ warranty. The Alpina B7’s 4.4 turbo V8 produces 17 more horsepower (540 vs. 523) and 14 lbs.-ft. more torque (538 vs. 524) than the Quattroporte GTS’ optional 3.8 turbo V8. On the EPA test cycle the ActiveHybrid 7 gets better fuel mileage than the Quattroporte S Q4 (22 city/30 hwy vs. 15 city/24 hwy). Regenerative brakes improve the 7 Series’ fuel efficiency by converting inertia back into energy instead of wasting it. The Quattroporte doesn’t offer a regenerative braking system. In heavy traffic or at stoplights the 7 Series (except 760Li)’s engine automatically turns off when the vehicle is stopped, saving fuel and reducing pollution. The engine is automatically restarted when the driver gets ready to move again. (Start/Stop isn’t accounted in present EPA fuel mileage tests.) The Quattroporte doesn’t offer an automatic engine start/stop system. Changing a flat tire near traffic can be dangerous and inconvenient. The run-flat tires standard on the 7 Series can be driven up to 50 miles without any air pressure, allowing you to drive to a service station for a repair. The Quattroporte doesn’t offer run-flat tires. The 7 Series offers active sway bars, which help keep it flat and controlled during cornering, but disconnect at lower speeds to smooth the ride and offer greater off-road suspension articulation. This helps keep the tires glued to the road on-road and off. The Quattroporte doesn’t offer an active sway bar system. The 7 Series SWB offers an available adjustable active suspension system, which counteracts cornering forces actively, limiting body roll and improving handling and stability. Maserati doesn’t offer an active suspension on the Quattroporte. The 7 Series has a standard automatic rear load leveling suspension to keep ride height level with a heavy load or when towing. The Quattroporte doesn’t offer a load leveling suspension. The 7 Series SWB is 7.4 inches shorter than the Quattroporte, making the 7 Series easier to handle, maneuver and park in tight spaces. The 7 Series LWB is 1.9 inches shorter than the Quattroporte. A standard locking center console (which can’t be accessed with the valet key) keeps your small valuables safer in the 7 Series. The Quattroporte doesn’t offer locking storage for small valuables. To make loading and unloading groceries and cargo easier, especially for short adults or children, the 7 Series offers an optional power rear trunk, which opens and closes automatically by pressing a button or just by kicking your foot under the back bumper, completely leaving your hands free. The Quattroporte doesn’t offer a power trunk. When two different drivers share the 7 Series, the memory system makes it convenient for both. Each setting activates different, customized memories for the driver and front passenger’s seat positions, steering wheel position, outside mirror angle, climate settings and radio stations. The Quattroporte doesn’t offer a memory system. The 7 Series offers an optional heads-up display which projects speed and other key instrumentation readouts onto the windshield, allowing drivers to view information without diverting their eyes from the road. The Quattroporte doesn’t offer a heads-up display. Heated windshield washer nozzles are standard on the 7 Series to prevent washer fluid and nozzles from freezing and help continue to keep the windshield clear in sub-freezing temperatures. The Quattroporte doesn’t offer heated windshield washer nozzles. To keep a safe, consistent following distance, the 7 Series offers an optional Active Cruise Control, which alters the speed of the vehicle without driver intervention. This allows the driver to use cruise control more safely without constantly having to disengage it when approaching slower traffic. The Quattroporte doesn’t offer an adaptive cruise control. The 7 Series’ optional Parking Assistant can parallel park or back into a parking spot by itself, with the driver only controlling speed with the brake pedal. The Quattroporte doesn’t offer an automated parking system.